2017 has been probably the greatest year for smartphones ever. We have seen the removal of the headphone jack and bezels, the addition of a secondary camera at the back and many other features in all the top phones this year. All this meant phones went through great changes in design as well as technology, including relying on only facial recognition to unlock your phone and more quirky features such as squeeze-able sides. But what has been the best phone of the year so far? This question is very debatable. However, what we do know if we separate phones into different categories, we will have one clear winner standing out in each slot. So without wasting any time, let’s get into it. 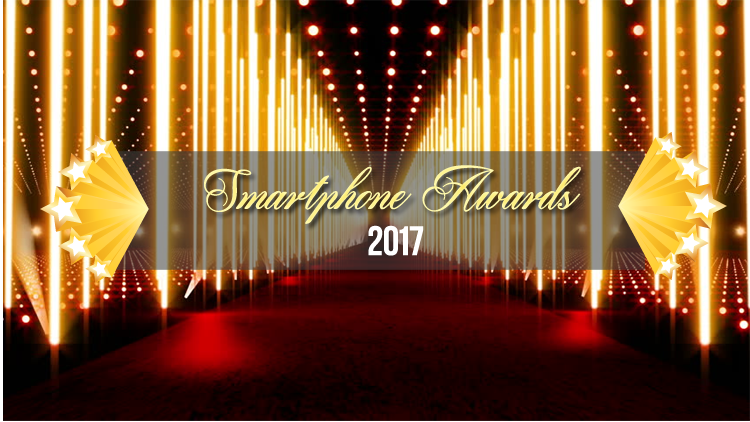 Our smartphone awards for 2017! Even Apple uses screens from Samsung. Their display screens are crazy good. So it’s no surprise that this one goes to Samsung. The phone with the best display for this year is the Samsung Note 8. The huge 6.3” “Infinity Display” as Samsung calls it, is made possible for the phone’s bezel-less, full frontal glass, edge-to-edge design. It’s a quad HD+ resolution display which makes use of the 18.5:9 aspect ratio to its fullest. The addition of the S Pen stylus makes this phone’s display absolutely amazing. Amongst all the dual camera setups, one phone stands out as the one that does not have a secondary camera but still produces the best photos. And that is the Google Pixel 2. While some of the best phones of the year feature some stunning cameras, this award goes to Google hands down. Detail, dynamic range, sharpness, low light performance, autofocus, image stabilization and a mind-blowing portrait mode makes this one the best of the best. Coming in with a huge 4,000 mAh battery, the Razer Phone takes this one. Now the biggest battery does not necessarily mean the best battery life, but this phone takes battery performance to new levels. This phone was made for gaming. So knowing that a good battery will mean longer hours of gaming, this phone will last you the entire day without it being a big deal at all, even if you’re not a gamer. When it comes to aesthetics, Xiaomi’s Mi Mix 2 takes the gold. Created by the famous french designer Philippe Starck, this phone retains the premium feel of the last year’s model with a truly mesmerizing outlook. It has a scratch-proof ceramic back and metal on the edges, with a front side that leaves no space for bezels. It has a 6” display and almost all of the front face is this display, bar a small chin on the bottom. The back features golden branding by Xiaomi which reads “MIX designed by Xiaomi” and a gold ring around the camera which just puts the icing on the cake. If we consider “budget” to be under $300, the Moto G5 Plus blows away the competition. This phone has a very robust look, a premium in-hand feel, very good specifications and most importantly, all in a very cheap price range. No one will be able to tell it is a budget phone, and you will soon forget you had to spend so little on it too. There’s a lot to enjoy on this phone and the best part is you won’t have to rip a hole in your wallet. If you want all the specs that the most expensive phone has in just half the price, go out right now and get your hands on the OnePlus 5T. The OnePlus 5T offers everything you would want in a smartphone, really. The aforementioned Moto G5 Plus might have some lackings, but this one has none. It’s essentially a 2017 version of its predecessor the OnePlus 5, while staying the same price. So not only is it already flagship material, it’s an even better version of its own flagship phone in 2017. If you’re looking for the most bang-for-the-buck, this is a no-brainer. So that’s it for our compilation for the best phone in different categories for the year. We can’t wait to see what 2018 brings to the smartphone market, but if you want a phone from 2017, it’s up to you to gather all this information, and choose what you may think is the best phone for you. Keep us posted!